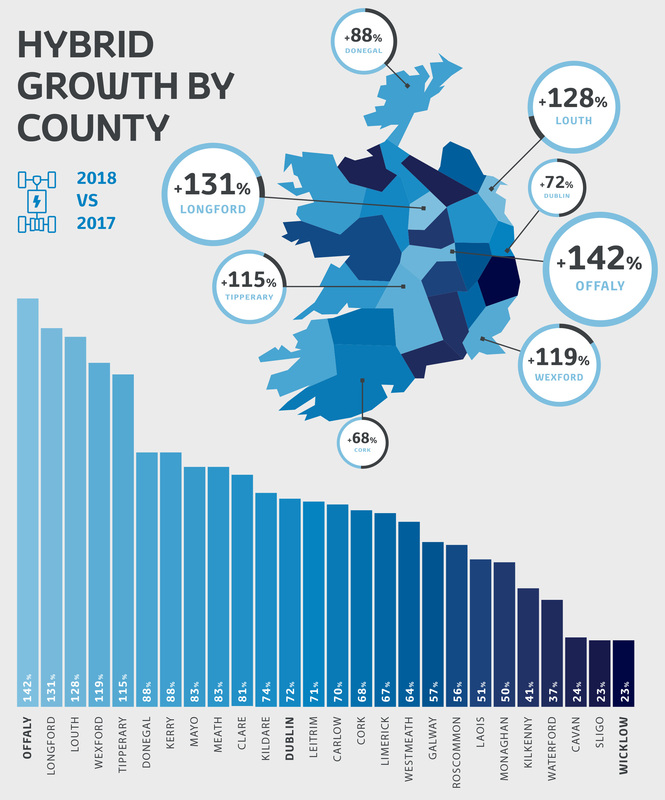 According to the latest year on year comparison, Self-Charging Hybrid (HEV) cars have seen significant growth across the country in 2018* with a 58% increase in Connacht, 83% increase in Leinster, 76% increase in Munster and 54% increase in Ulster (Cavan, Monaghan, Donegal) compared to the same time-period in 2017. At Crossings 3 out of 4 new Toyota drivers are buying Hybrid. The statistics are showing that this is a trend across the country and not just limited to Urban/Town environments. There has been a 74% increase in Hybrid Sales in Kildare alone. Toyota announced earlier this year that, in line with its "Built for a Better World" brand promise, it is ceasing production of diesel passenger cars this year to focus on more environmentally sustainable vehicles, led by self-charging Hybrids. “It’s fantastic to see such significant Hybrid growth across the country, and not just in the most populated cities. In the past, some commentators have tried to dismiss Hybrid as being relevant only to city driving, but the percentage growth numbers paint a very clear story of how Hybrid is being embraced in both urban and more rural environments." If you haven't already taken a Hybrid test drive, then call into Crossings and book one with us today. You will be surprised at the difference between driving a Hybrid and regular petrol or diesel engine. The Hybrid is much quieter, and being an automatic, much easier to drive. Give us a call on 045 897589 to find out more. Think Hybrid; Think Crossings.